Although wear and tear on kitchen knives is unavoidable, it's extremely frustrating when I can't cut through tough, fatty tendons in meat or even make a clean slice through an onion. If you don't have a steel rod or water stone to sharpen your knives, or even a cheap knife sharpener, you can get creative by using a coffee mug and even a newspaper. Looking for another DIY knife sharpening trick you can use in a pinch? Try a car window. Just go outside, roll down one of your car windows halfway, then hone your knife gently on the top curve of the window. YouTube user DeerMeatForDinner shows of the technique in his video below. 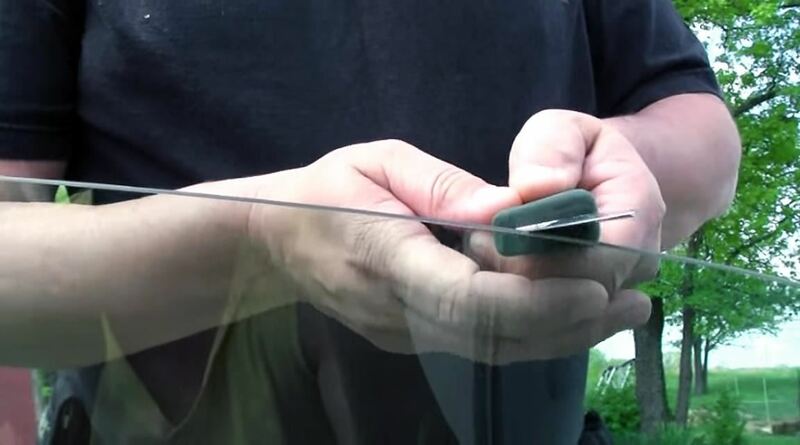 When using this technique, make sure to keep your knife's blade on the ever-so-slightly rounded top of the window itself, rather than rub metal against the side of the window. Also, your knife will already need to have a good edge on it, since all this trick does is hone the blade by bending the rolled, or dulled, edges of the blade back where they were. If you're worried about potentially causing scratches or other damage to your car windows, don't panic. Car windows are tempered—they're made to withstand great impact, and are quite strong. In order to truly have any damaging effect on your car, you'd have to start smacking your knife right into the window itself. This knife sharpening method is an effective one, but it won't bring your knives back from the dead. 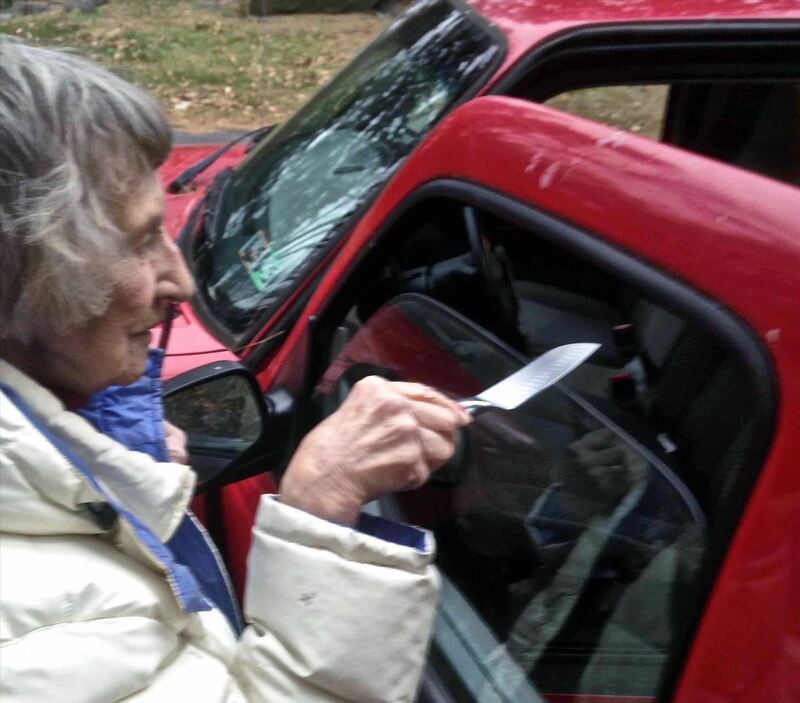 Apply your blade to your car window whenever you need a touch-up, not when your cutlery is beyond repair.